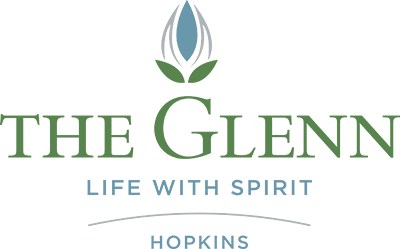 The Glenn Hopkins is a beautiful faith based senior community for adults 62 and over located in Hopkins MN. Our breathtaking 14 acre campus consists of walking trails, protected wetlands surrounded by weeping willows and all the serenity one could ask for with the benefit of being close to the city. Whatever your spiritual beliefs happen to be, The Glenn Hopkins, a Catholic community delivers a commitment to both physical and spiritual health. Our Mission is to be a place where people of all faiths enjoy the fullness of life in a loving, compassionate and comfortable environment. Our two beautiful chapels remain open 24 hours a day for times of private meditation or quiet reflection. Located in the historic Glen Lake area of Minnetonka, a time-honored suburban community between Highway 7 and Excelsior Boulevard just west of Interstate 494, the area features the conveniences of an established neighborhood with small-town charm and easy access to major highways. The Glenn Minnetonka features independent living, assisted living, memory care and enhanced care suites. Established as Catholic communities, The Glenn Hopkins and The Glenn Minnetonka continue to celebrate this heritage as we welcome people of all faiths to enjoy the fullness of life in a loving, compassionate and comfortable environment. A dedicated pastoral care team, supplemented by pastors from within the local faith community, leads spiritual and personal growth activities to all denominations. Our chapels offer residents a place for daily worship, communion and quiet reflection.